Sigurd Lewerentz (1885–1975) was educated as a mechanical engineer at Chalmers University of Technology in Gothenburg, but it was an architectural apprenticeship in Munich that set him on his career path—a path that led him to be revered as one of Sweden’s most eminent architects. 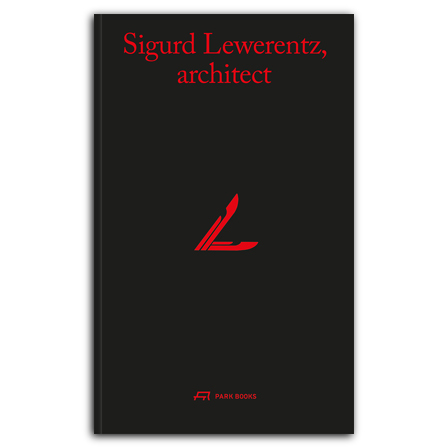 Sigurd Lewerentz, architect is a new facsimile reprint of the first monograph ever written on Lewerentz and his work. Originally published in 1985 in Swedish, this legendary book tells the story of his life and presents his entire body of work through a combination of texts, photographs, drawings, and plans. This edition sets Lewerentz in a contemporary context through a concluding essay on his work and legacy by the German-Chinese architect, critic, and professor Wilfried Wang. , born 1942, studied at Royal College of Art, Craft and Design in Stockholm and Royal Academy of Art in Copenhagen. He was a professor at and dean of the School of Architecture at Lund University, Sweden, and runs his own studio in Stockholm. is an architect and critic and a professor of architecture at University of Texas’s School of Architecture in Austin. He has been appointed as a member of Berlin-Brandenburg Academy of Arts in Berlin in 2010.